Marie Skovgaard’s fascination with the woman behind Europe’s first mosque run by female imams is contagious. If there is one thing that Marie Skovgaard’s The Reformist, the opening title of this year’s edition of CPH:DOX (20-31 March), really, really benefits from, it’s the choice of protagonist. After generating a sea of international headlines, understandably also referenced here, it was only a matter of time before Danish activist Sherin Khankan would get her very own film. And it’s just a pity that this one, presented in the DOX:Award section alongside 12 other films, including Ai WeiWei’s The Rest and Sarah J Christman’s Swarm Season, keeps skating on the surface instead of really committing to at least trying to understand the surprising choices made by a woman who knowingly continues to confront a system that has no willingness, nor any apparent need, for any confrontation at all. While her decision to open Europe’s first mosque run by female imams such as herself was a risky move, she didn’t stop there – when Khankan started to perform inter-faith marriages between Muslim women and non-Muslim men, she alienated even the ones closest to her cause. Skovgaard’s film illustrates that quite well, as instead of the “us” versus “them” narrative, it soon evolves into a much more complex affair, with neglected collaborators disagreeing with her hasty decisions and, it seems to be implied, not all that happy with her newfound fame. Her fame is perfectly understandable, too – with her striking, Neutrogena spokeswoman-like looks and soft-spoken delivery, Sherin strikes us as the kind of role model that fashion magazines are always craving, the proverbial “whole package” able to sell just about every message on Earth. At least to a certain audience, as her female-friendly take on Islam – not to mention flat-out refusal to cover her hair in public, instead opting for an “inner veil” – is first met with condescending smirks, and then with open hostility. And although Skovgaard is not exactly blind to her flaws (Khankan is shown as an impetuous leader, to say the least, and not exactly a team player), she is clearly fascinated by her journey and her apparent inability to just stop. Needless to say, finally forced to compromise when a man approaches her about officiating his gay wedding, she still shows up at the ceremony. But glimpses into her private life are few and far between, and feel a tad forced, with Khankan more comfortable discussing religion than her own situation. Divorced with four children, she is predictably more willing to grant divorces to women trying to escape their violent husbands than her conservative “colleagues”, but it’s the mention of her parents’ happy marriage – between a Syrian Muslim and a Christian Finn – that really strikes a chord. That being said, the film itself also feels a bit like such a glimpse, not unlike those interesting if hardly in-depth interviews she is shown giving here. But as Khankan repeatedly stresses the need to gradually “grow into her role”, perhaps it’s fitting that Skovgaard shows her still warming up – a reformist in progress, if you will. The Reformist was produced by Jesper Jack, of Danish outfit House of Real. Its international sales are handled by First Hand Films World Sales. 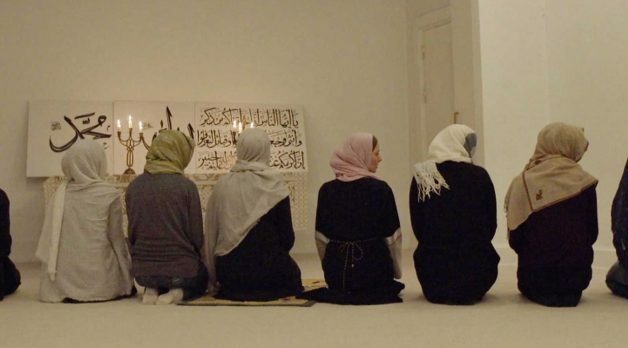 Together with a group of Muslims Sherin Khankan is opening Europe’s first mosque run by female imams. The members of the Mosque aim to confront and challenge the fear surrounding Islam and call for a tolerant and gender-based interpretation of the Quran. Sherin is impatient. She wants change and equality now. But how do you break centuries of tradition from within a religion over night? When Sherin openly begins granting Islamic divorces to women unhappily married and performs inter-faith marriages of Muslim women and non-Muslim men, her haste divides the organisation to the brink of collapse.